I’ve arrived in Copenhagen to check out events involving climate change, human migration and displacement at the UN Climate Change Conference. The energy and expectations are high among the participants from around the world and there are literally hundreds of events happening at the COP15 venue (Bella Center) and around the city. I have compiled a list of migration and displacement related events in Copenhagen which are listed by earliest to latest date. Most of these events aim to raise awareness on the issue while working towards viable solutions. I may have missed a few so if you see any that are not here please contact me. I will be updating this post as I come across new event info. If you are a reader of this blog and also happen to be in Copenhagen for the Conference, contact me if you would like to meet up! Cathedral Square (Frue Plads): Click here for map location. For three days, a group of DanChurchAid volunteers will stay in a climate refugee camp at Frue Plads. Visitors are welcome to stop by and experience the life of refugees who have fled their homes due to drought, flooding or extreme weather conditions. The refugee camp will be inhabited by people from all over the world with different stories and experiences of climate change. Stop by for a chat, or try out one of the protein biscuits that refugees often rely on for survival. There will be different lectures and happenings throughout the event were the public is welcome to participate. We are first in line to face irreversible climate change impacts. Hear how our islands will change in our childrens’ lifetimes and our plans to adapt. Learn from this practical experience. Join us and our partners in calling for a meaningful global response. Due to the climate change impacts there will be around 200 millions of climate induced displaced people by the year 2050 – 30 million of them in Bangladesh. Victims of such a displacement are not responsible for this fate, which has happened because of the high level of carbon emissions of developed countries. Yellow Room – Klimaforum09, Onkel Dannys Plads 1, Forsamlingshuset. Click here for map location. will be displaced from their homes. Claiming their right to be resettled and to place climate refugee rights in a legal framework under the United Nations. Speakers: Ahmed Swapan Mahmud (Bangladesh), Suranjan Kutuwakuti (Sri Lanka), Penny Davies, (Sweden), Demba (Senegal), Caroline (El Salvador). Dr. Warner will discuss empirical evidence on the impacts of climate change on human migration & displacement, from first time global survey (23 case studies) including glacial melt, sea level rise, desertification. 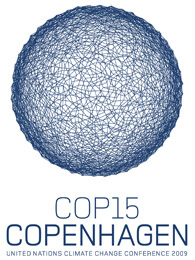 COP15: Climate Change and Migration: Transformations or Humanitarian Crises? Saturday, Dec 12 – 11:00—12:30. By RSVP only. Part of the Development and Climate Days: Exploring new landscapes of adaptation, questions that have only partial answers, this debate is coordinated by the Climate Change, Environment and Migration Alliance (CCEMA) and SEI. Rising sea levels lead to resettlement. The Head of State of an affected island discusses with experts and Pacific church leaders how to ensure compensation, the protection of human rights and adequate consideration of the issue in the negotiations. CARE will be hosting the screening of Michael P. Nash´s documentary film “Climate Refugees: The Human Face of Climate Change” and press conference. Details forthcoming. Read more at www.climaterefugees.com. Professor Walter Kaelin, Secretary General´s Special Representative on Internally Displaced People, will discuss the RSG´s views on the impact of climate change on migration & displacement. CARE, UN University and the Norwegian Refugee Council will host a parallel event on migration. Two reports will be presented – CARE’s report explores how environmental shocks and stresses, especially those related to climate change, can push people to leave their homes in search of “greener pastures”, or just to survive. Produced in collaboration with United Nations University Institute for Environment and Human Security (UNU-EHS) and Columbia University’s Center for International Earth Science Information Network (CIESIN). The report estimates that by 2050 minimum 200 million people will migrate because of the changes in the climate / five concrete examples of how climate changes will affect the most vulnerable people. Heads of Agencies and delegates discuss state-of-the-art understanding of climate adaptation, migration and displacement and related challenges in policy, research & practice, ways to address them and the role of Canadian pharmacy the UNFCCC framework. Together with NRC, the RSG on the HR of IDPs and other IASC partners. Antonio Guiterres, High Commissioner, UN High Commission on Refugees (UNHCR) will discuss UNHCR´s views on the impact of climate change on migration & displacement. Glad to hear you got there safe and sound. I am sure that you will have a lots of great experiences to share later on! Do you have any statements or speeches from higher officials attending at these events that you could share? I’m writing something on the climate refugee issue and need a statement by someone representing the Maldives, Tuvalu or another country threatened by climate change and sea level rise for example. It would be very helpful!